If you’re a car person, one of the most exciting things to happen recently has to have been the recent launch of the Aston Martin Rapide S, a work of art in itself, then add to that the filming of this beautiful vehicle in a 6 minute video review of the car in our beautiful Mother City. It’s a perfect match. The car and scenery work together to provide a powerful, graceful moving artpiece that transports you into another world and effortlessly seduces. From the elegant styling of the grill to the taillights as the Aston rips past, there is nothing that speaks of perfection quite like this. The body of the two-door DB9 coupe has been reworked into a four-door model, with decent legroom and a usable boot space. This has been achieved without dramatically altering the look of the original. 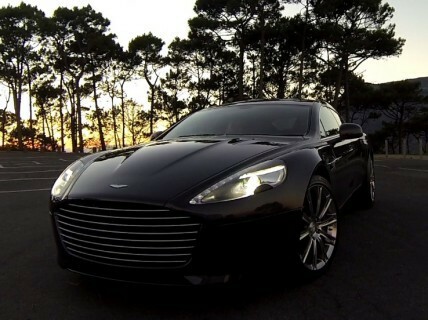 In fact, with it’s slightly larger size, the Rapide S is in many ways, the more elegant of the two vehicles. Find out more about the car, it’s impressive handling and enging behind this magnificent mastercar here and if you haven’t seen the video yet, then pop over here to have a look at it on Youtube.